Since The Free Choice E-zine is based within the United States of America, we bring you the following coverage of the 2015 State of the Union address, as given by President Barack Obama on January 20th to a joint session of Congress and televised to the country. While there is no denying that America has seen better times, 2015 finds the country in the best shape it has been in since the start of the new millennium, but that doesn't mean there isn't room for improvement. *Improving the economy, especially giving a "fair shot" to the lower and middle classes, also known as the 99%. 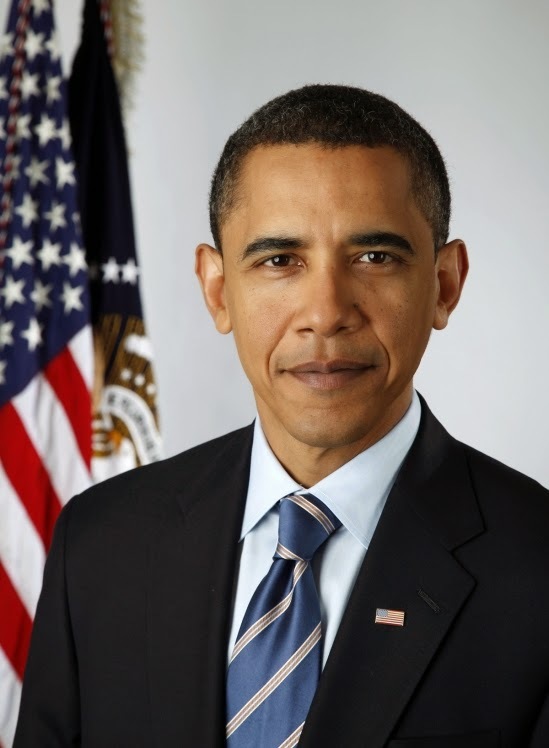 The President plans to soon sign an executive order guaranteeing workers 7 days of paid sick leave. *Closing tax loopholes and restructuring finance laws so they no longer favor the 1%. *The President still hopes that Congress will eventually raise the minimum wage, something that the Republican majority in the House of Representatives has been postponing since the idea was first proposed in 2014. *Seeing that women get equal pay for equal work, since currently a woman is estimated to receive only 78% of what a man earns in the exact same job. *Continuing the fight against terrorism, whether it is a direct attack against America or an assault against any of the country's allies; citing the specific example of growing concern over ISIS/ISIL terrorists. *The President hopes to initiate a new diplomatic plan with Cuba, and looks forward to Pope Francis' scheduled visit to America this coming fall. *Expressed a continuing wish to improve the environment, especially in light of the fact that climate change is real, no matter how loudly the deniers protest otherwise. *Improving the United States' infrastructure, both physically with new roads, bridges, protecting the Internet, etc; and personally by addressing the growing tensions of race and other social dividers. *Obtaining comprehensive immigration reform, including the protection of the executive order he has already written initiating such plans. *Hope for the overall future of this country and the world, and that politics will not interfere with improving things. Behind the President during the speech sat Vice President Joe Biden and Speaker of the House John Boehner. Of course the Congressional Democrats, who now find themselves a minority within the House and Senate, cheered everything; but the Republicans didn't. It was noticeable that there was no applause from Boehner's party during mention of such topics as the fact that economy is improving, that more Americans are obtaining health insurance through the Affordable Health Care Act (also known as Obama Care), any mention of developing alternate energy sources, equal pay for women, anything that would benefit the lower and middle class, a free and open Internet for all, the Cuba situation, acknowledging that climate change exists, not persecuting people who are not "straight", and making voting easier for all citizens of this country, since it is the inalienable right of every American to do so to begin with! It is interesting to also note that there were FOUR different rebuttals to the President's address afterward. Senator Joni Ernst of Iowa gave the "official" Republican one, while Texas Senator Ted Cruz and Senator Rand Paul of Kentucky both gave their own, individual opinions on the State of the Union. Florida House of Representatives member Carlos Curbelo gave what was supposed to be the "official" Republican response to President Obama's speech in Spanish to people for who English is a second language, but a translation of his remarks revealed that there was no mention of the Republican Party's opinion on the issue of immigration reform.